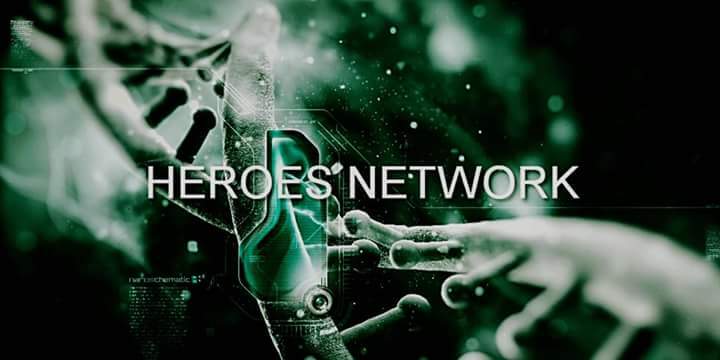 There used to be something in most of the RLSH Community a few years ago, from around 2007 to 2009, around the time I was the Administrator of the Heroes Network. There was a real spirit of camaraderie there. I could try to explain it but you really had to be around there back then in order to really understand it. For the past year or so, I've felt it was very important for me to remind the RLSH Community about it, but it was hard to find the right words. I'll try anyway, though. Back in the good old days, RLSH's got along with each other... sorta... There were some occasional arguments, but unlike now where things can get really messy, back then they were constructive arguments that got heated, and if they did lead to bitter disputes, they often got settled, as a community, like a family. And from then on for a while the community seemed happy again, and people understood each other and got along better than before. And more often, if there were any disagreements, RLSH's agreed to disagree. When ever there were arguments, people often agreed to forgive each other and make peace with each other, because they mostly understood how important it was for RLSH's to all be on good terms with each other. This was before a lot of the media attention in this community. While there's a huge misconception nowadays that the success of an RLSH has to do with how famous and popular they are, and that all the media attention was good for the community in moving it forward, the truth is that these things have caused a lot of problems and actually moved it backwards. Being an RLSH is not about public image, it's not about popularity. It's about befriending those who need friends, saving those who need saving, protecting those who need protecting, fighting evil. That's not to say that all media attention is bad entirely. It can serve as a very effective networking tool, with people who need your help or wish to work with you. But, make sure it's for the right reasons. And understand that the more well known you are, the more problems it can cause you. There were times when RLSH's would defend outcasts in the community. Nowadays they outcast the unusual people as weird, because they're worried that certain people are bad for the public image of the RLSH Community (It's not a Movement). That's also a harmful way of thinking. People who say things like that and think like that are the ones who (in my eyes) make themselves look bad. You can't define the standards of a Real Life Superhero, especially since many of those who I've seen try to define it as a whole have got it (in my strong opinion) wrong. You can define the standards of certain cliques of people, and while it can serve it's purpose in some ways if it's within certain groups, it can't be spoken for as a whole. I've seen many good people feel outcasted by the in-crowds. When in-crowds try outcasting people, they're not just outcasting those people from their inner circles, they're outcasting their own selves from enacting heroic ideals. Especially in the eyes of those they're outcasting. By trying to unite this community, people will only divide it further. In my opinion, the way it works best, is when people let everyone be themselves. Not conformity, but rather self-expression. Acceptance, not outcasting. Let people be themselves, not who you want them to be. When the Spirit of Camaraderie existed in the RLSH Community, there was a good balance of seriousness and joking around. And that was accepted. Too much of one and not enough of the other is not good. It used to feel like a family or like a loose network of individuals who had this evil-destroying Warrior Spirit about them. It felt like a real superhero community. Nowadays, it feels like the U.S. House of Representatives. I say this with the hopes of my friends in the RLSH Community reading this and if they were around back then, I hope they remember this and allow the spirit of camaraderie to return back again. For those who weren't around back then, please bring it back. I seem to have missed the good-ol'-days, but I hope to see the new version of it. Nowadays, it seems that the most vocal people like to just sit and argue with anyone they don't agree with. There is a way to disagree without attacking the other person involved. Right Way: "I don't agree with (whatever), here's my opinion on it:..."
Wrong Way: "You're wrong. Plain and simple, you're wrong. Besides, you aren't even a real whatever you claim to be, faker." Well, hopefully this new forum will grow to be even better than the old one. And good point about the being able to agree to disagree on some situations. One misconception seems to be that by being rude to the person, that you're going to make them agree with you. In one sense, some level of diversity is good, it allows different theoretical gaps in the world of where heroism is needed, to be filled by different people in different ways. In another sense, there are some people who are misguided, but the more you force certain things, the less it's likely for that person to want to see things from your point of view. Certain things I may end up repeating myself about over and over again, but certain things I may end up repeating myself about over and over again, but certain things I may end up repeating myself about over and over again, but it's just that there's certain points I feel like I need to make. Yep! But not this: Please stop beating up people verbally for not agreeing with you, people! I agree more people need to express opinions and not prejudice. the old battles between "confidence & arrogance" I remember them well. the people involved sometimes changed,but the issues were always the same. yes the old give up the young rekindle, it's funny how that works, not in a haha way but in an interesting way, it seems like most mannerisms are either inherited or taught, it's that whole Nature Vs. Nurture thing I personally believe in both sides, There are those born good/evil, and then there are those that acquire it from peers, and surroundings, or their parents. They spoke about something like that in my Criminology Course, there are the Life Course Theories, and the Latent Trait Theories, which I'll probably eventually post about in the Criminology section, but one has to do with the situations that make them do certain things, and the other has to do with certain traits they have that are either present during or soon after birth. One theory I discovered on my own without much previous knowledge of it already, just from deep thought (supplemented with lots of studying and knowledge about different philosophies and patterns) was the Integrated Theories, which take not just one theory, but various theories, and see the pattern of how they each contribute to each other, or sometimes even take away from each other. I see it all boiling down towards AGGRESSION instead of BENEVOLENCE, a total blunder by the majority involved & HYPOCRITICAL. well in youtube videos you see them telling how they want to change the world & help those who have it bad off & then attack people on the forums due to differences or ego trips,seems to me that undoes everything already mentioned. It most certainly does. What lies in the heart will always show itself, why a person really does what they do can only be hidden for so long, sometimes the person doing so is oblivious to it themselves. there's also the problem of others following a hero or heroine,cuz of who they are & not what they are doing. Plus alot of times you run into the situation where they will take double standards merely to uphold their image. so it's alot of factors even more then i've said,that is fueling the feuds. It's like they are thinking,to be a superhero means never being wrong & they are willing to never admit it regardless of anything. Being a hero means never hiding who and what you are, it means always striving to become better that who and what you are. As long as you are always trying to be better, and do better, then you are a SuperHero. I've seen many who pretend to be these nice people in the media that they're really not. I don't like condemning anyone, but, also hate it when it happens to me over and over again, even when I try to offer peace to people, and I also hate it when it happens to good people. I admit that I'm a flawed person, I'm compulsive and can get angry at times, I've also said and done many things in the past that I regret. I don't deny this, but I do try hard to try to continuously seek to make myself a better person. I've had ShowStopper help me not just become a better person, but want that much more to try to always make myself in to a better person. everyone has a failing, a flaw that makes us human but as you have said Tothian it's important to rise above our flaws not hide them, confronting fear is our buisness and I know that I myself have trouble identifying my flaw, but I just asked my mother whos sitting right beside me and she said my biggest flaws are that I am overbearing and arrogant at times, I don't know if she said overbearing because I bothered her with the question in the middle of a hockey game but, I think there is truth to that, I can get very annoying sometimes with all my questions. Questions are good, it's how you learn. Never stop asking questions. And it's best to ask others what your flaws are, because people can be blind to their own flaws. well that is true it's more then that lol, I can be pretty overbearing(annoying) I am a very hyper individual and sometimes people can't keep up with me so if there is one thing I can learn more of it's is probably calming down and not trying to climb up the wall all the time, I am one of those people keeps a joke going until it buries itself in the ground. I've done the same thing before myself. While I don't hide the fact that I am a flawed person, with some details about it, I also don't try to advertise my every flaw. Giving out too much personal information can be used against you much more than you deserve, as well. And while on one hand you don't want to deny your flaws - so that you're able to improve them - you also don't want to have to dwell on the negativity of your flaws all the time - especially not long after you've learned from your mistakes, and/or improved yourself. I try to think of a balance of things, and find my best answers for things that way. Not too much of this for this reason, and not too much of that neither, for that reason, and so on. OH and yes I forgot to respond to the answers versus questions thing, while it partially sounds inaccurate, in the sense that you do want answers to your new questions that you come up with - I agree with the idea of what you're saying though. "Man stays wise as long as he searches for wisdom. Once he thinks he has found it, he becomes a fool."